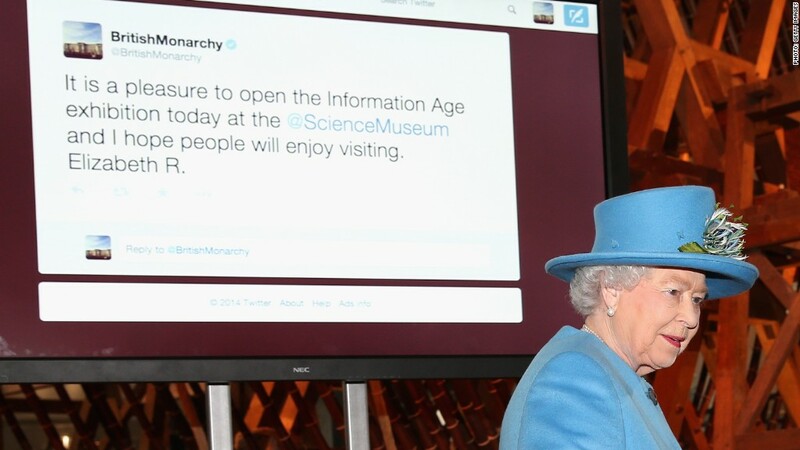 Queen Elizabeth II seen in front of her first tweet. A BBC journalist mistakenly said Wednesday on Twitter that Queen Elizabeth II was dead. She is not. And the BBC has profusely apologized. The news organization blamed an "obituary rehearsal" -- i.e. something not meant to be seen by the public. The initial tweet sent other news outlets scrambling to confirm the unexpected news. Once it was proven to be wrong, the incident stood as a reminder to journalists about the perils of sharing unverified information on social media. Now the journalist who sent the tweet, Ahmen Khawaja, is facing an internal disciplinary investigation from her bosses at the BBC. The news organization hasn't elaborated on the possible action, but has confirmed that an investigation will take place. Wednesday's chain of events was confusing and embarrassing. Khawaja's tweet was initially taken seriously in part because Khawaja's account identifies herself as a "BBC broadcast journalist." The BBC is not only one of the biggest news organizations in the world, it is the United Kingdom's public service broadcaster. It takes the lead in coverage of state funerals, for instance. Khawaja initially misspelled the queen's name but said the queen "has died," and tagged a BBC Twitter account with the terrible news, according to local reports. She also wrote: "False alarm to Queen's death! She is being treated at King Edward 7th hospital. Statement due shortly." Even the claim of a false alarm set off further alarms. A Twitter account run by the affiliate service of CNN briefly passed along the news of the queen's hospitalization, but then took it down and corrected it. Other outlets also tweeted out the bogus report. The erroneous reports were never aired by any television network or printed by any web site. But there was palpable chaos inside newsrooms. What had happened to the queen? Khawaja deleted her tweets and claimed it was part of a prank. Then she deleted that tweet, too. The BBC said it wasn't a prank at all. "During a technical rehearsal for an obituary, tweets were mistakenly sent from the account of a BBC journalist saying that a member of the royal family had been taken ill," a BBC spokeswoman said. "The tweets were swiftly deleted and we apologize for any offense." It turned out, coincidentally, that the queen was at a hospital on Wednesday for a pre-scheduled and routine appointment. The appointment wouldn't have been made public, but the social media drama caused Buckingham Palace to provide the information to news organizations.